"Phantom of the Opera" is coming to the Kimmel Center in November. 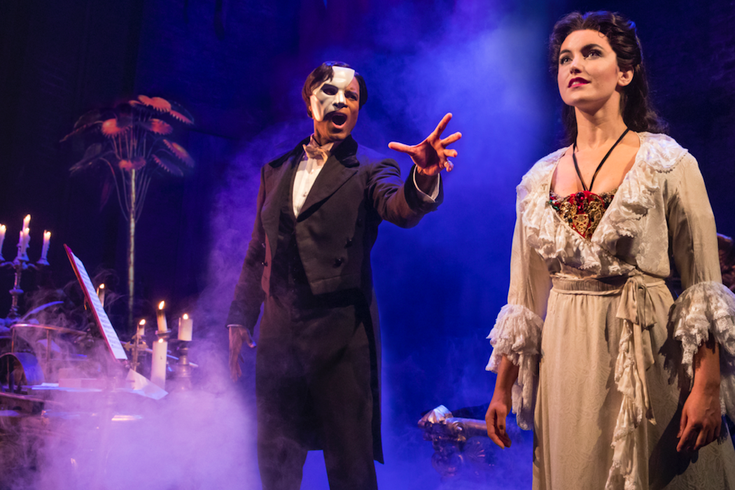 Cameron Mackintosh's new production of Andrew Lloyd Webber's "The Phantom of the Opera" will be performed at the Academy of Music from Wednesday, Nov. 1, through Sunday, Nov. 12. It is one of the largest productions currently on tour and features special effects, new choreography and new set designs. Based on the classic novel "Le Fantôme de L’Opéra" by Gaston Leroux, "The Phantom of the Opera" tells the story of a masked figure who lurks beneath the catacombs of the Paris Opera House. The musical's score includes the well-known songs "Music of the Night," "All I Ask of You" and "Masquerade." Derrick Davis, who has also starred in Broadway's "The Lion King," will play the Phantom. In the video below, he gives his perspective on the musical.